I think this is something Apple and only Apple has to deal with, and that is the burden of great expectations. When Samsung released the GS4, there was a little bit of outcry over the fact that it seemed like an incremental upgrade over the GS3. Beyond that though, most Android users embraced it as their next god and got down on their knees to worship it. Some of the more fanatical Apple users are no better of course, but the point is that these Android fans pour heaps of criticism on Apple for their incremental upgrades when nearly all smartphone companies are guilty of that exact same crime. 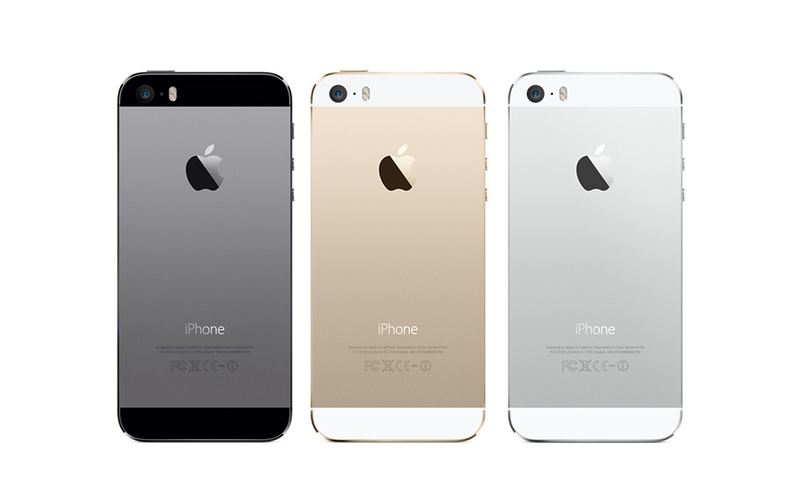 So, could Apple have innovated more with the 5S? Sure. But with its new processor, camera, operating system, and fingerprint reader, it has added just about all that is necessary to be considered a proper step up in today's smartphone industry. Are all of the improvements boring and mostly inconsequential? Yup. But then so are the thousand core processors and 41 megapixel cameras released on new flagship Android phones. They are not really things that will improve the daily mobile experience at this point, but they are added anyways to justify a new contract with your cell phone provider. That is why it is funny to read an article like Rick Broida's at Cnet.com, entitled "Five disappointing things about the iPhone 5S." Basically he claims that Apple's new device failed to meet his expectations because of its small screen (by Android strandards), focus on more powerful hardware, lack of battery improvement, lack of a 128gb memory option, and lack of overall innovation. I will run through these one by one. The first complaint he has is entirely subjective based upon the user. I for one am entirely fine with the 3.5" screen on my iPhone 4S. I appreciate the viewing space on larger phones but I do not like the extra size that comes with that. Whether you like the screen size depends on you; it should not be an indictment on the phone itself. Next, he claims that Apple's focus in promoting the new A7 processor in the 5S was a huge misstep, saying that more processing power is a bad thing because it drains battery life. I actually agree with this, because processor power on a smartphone is really unimportant for most users as long as you have a phone made in the last two years. The problem with Broida's criticism however is that he fails to mention that Android phones have the same problem -- increasingly powerful processors that serve little purpose beyond providing geeks fodder by which to debate on internet forums. Next, battery life. Well sure, we would all like more battery. But that is something all smartphones have a problem with, and it will continue to be a problem until we either have a technological breakthrough or all agree to carry a more bulky phone like the Droid Razr Maxx. His point about memory is weak at best. I have a 16gb iPhone and I have had no trouble in getting everything on there that I want. Even if you like having tons of movies on your phone, a 64gb model should be more than enough. I agree with him that Apple should perhaps offer a 128gb model, though I do not know who would be able to afford it. It is always nice to have the flexibility that a micro sd port offers, but in this day and age that is far from a deal breaker when you have so many other options by which to store your data (like the cloud). Broida must have run out of ideas at this point, because his last criticism is that the 5S is not innovative enough. Well, as I have said numerous times above, nobody is really innovating that much in the smartphone industry. And at least Apple has added something to their phone in the fingerprint sensor that distinguishes it from previous models. Honestly, I do not see how that is any less innovative than what Samsung did with the sometimes-gimmicky sometimes-useful software features they added to the GS4. To call out Apple for being boring and uninspired is to call out the entire smartphone industry, a point that too many writers like Broida fail to mention to their readers. Most tech writers seem to be more than willing to forget the hypocritical aspects of their arguments in favor of landing a few cheap shots on the Cupertino giant, which is a shame. To close, the iPhone 5S is a pretty boring phone. It has a new operating system, a new paint job, and supercharged components. Yet still, it is not enough. The truth however is that this is what the smartphone industry has become. It is not something we see only from iPhones, but from flagships released by all smartphone companies. That is why I am always surprised to see the huge backlash in the tech media whenever an iPhone is released, while its Android competition seems to get a free pass for the most part. In truth, Apple set themselves up for this online assault by the mere fact that they were the ones to blaze the trail that all other smartphone companies are traveling on today. We expect more from them. And so, when they merely meet the benchmarks set by the rest of the industry, we feel a sense of outrage. In reality, this is merely what the smartphone industry has become. A steady stream of incremental, mostly superfluous upgrades that has users of flagship phones from 2011 seriously considering not upgrading for a couple more years. Apple is guilty of following that trend, but so is everybody else. So please, take all of your hypocritical internet rage and seething hatred towards Apple and apply it to something else. Trust me, you will thank me later.